i think its gonna come down to this being a reality: the-anti-intellectual-tea-party-goobers having prominent roles on the national level... and embarrassing the hell out of us. they have to have power and then fail in order for the nation to begin devaluing the tea-party 'platform'. i'm not opposed to tea-party-members having authoritative powers, but it should be limited to local, county governing positions like 'sheriff' - the patented, redneck position of choice. george bush was bad enough. the "tar-and-feathering of varmints" should not be in the echelon of american political philosophy. 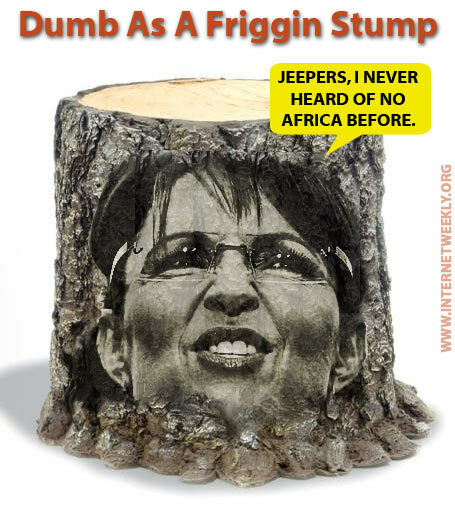 She's as dumb as a bag of hammers fa sho!!! !